No one likes to acknowledge their own complicity. But from screaming about a proposed “Ground Zero Mosque” to defending anti-Islamic activists like Ayaan Hirsi Ali, these pundits and similarly aligned establishment pro-Israel organizations have a long history of encouraging the very Islamophobia that made attacks like the one in Christchurch inevitable. There were Weiss’s attempts to get Muslim professors fired for criticizing Israel at Columbia University, and Mandel’s many columns inveighing against the alleged Islamist threat during his stint as a Breitbart writer (a sample: “How Islam Creates Terrorists, and How to Defeat Them”). Shapiro, however, offers the bluntest example with his nauseating 2010 declaration that “Arabs like to bomb crap and live in open sewage. This is not a difficult issue. 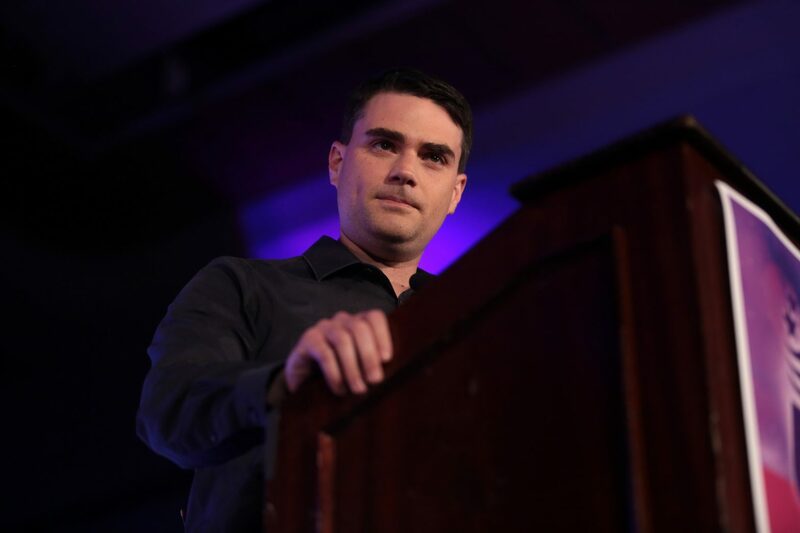 #settlementsrock.” Such language has consequences: after the murder of six worshippers at a Quebec mosque last year, investigators found that the perpetrator had checked Shapiro’s Twitter on 93 separate occasions in the previous month. While the broader right-wing movement spent Friday attempting to condemn the loss of life while distancing itself from any ideological basis for the attacks, which were carried out by at least one Australian white supremacist, their more highbrow counterparts have an even trickier task. This chattering class of chickenhawks has never been meaningfully held to account for mainstreaming anti-Islamic hatred in the media and helping to codify it in policy over many years. Like so many times before, they’ve diverted attention from their Islamophobia with spurious accusations of antisemitism on the left. It’s an audacious heel turn, and it usually works, until a great horror like Christchurch reveals where the balance of power really lies. It’s important to understand that the Christchurch massacre is not just the work of an isolated killer, but rather symptomatic of a resurgent far right across the globe, a movement whose ascendancy more mainstream conservatives would like us to conveniently ignore. One Australian senator wasted no time justifying the attacks by arguing that the Islamic religion is itself a fascist movement. Of course, it was just two months ago that Weiss, on assignment to Australia for the Times, claimed that Australians are “mercifully, not in the midst of a raging culture war,” curiously overlooking a white supremacist march in Melbourne that took place while she was there. This willful blindness to white supremacy is matched by a hypersensitivity to any deviation from the Israel lobby’s line. The false allegations of antisemitism that all of these commentators leveled against Rep. Ilhan Omar over the past month are instructive. Rather than expend any substantial effort to condemn the far-right forces responsible for actual violence against Jewish people—like the white supremacist who carried out the Tree of Life synagogue massacre in Pittsburgh last fall—they instead trained their sights on a black Muslim politician for speaking plainly about the influence of the Israeli government on American policy. Lake cast Omar’s comments as part of a tradition of American “nativism,” while Weiss used her turn as a guest host of The View to castigate the antisemitism of the “far left” and “far right” in equal measure without acknowledging which of those two sides has a body count to answer for. Mandel casually smeared Omar as “anti-Semitic” in a Washington Post op-ed, while Shapiro wrote a post on his Daily Wirewebsite titled “Every Democratic Excuse For Ilhan Omar’s Anti-Semitism Is More Vile Than The Last.” All four of them, and the wider cohort of right-leaning pro-Israel pundits they represent, have been monomaniacally focused on demonizing one of only two Muslim women in Congress, while almost entirely ignoring the white supremacist threat faced by Jews and Muslims alike, or at most, gesturing at it for the sake of evenhandedness. The use of accusations of antisemitism to mask Islamophobia is a particularly bitter pill to swallow. In the not-too-distant past, American Jews were lynched, barred from universities, and largely considered unworthy of inclusion in American public life. For many of us, the memories of this treatment help explain a commitment to justice for other minority groups, even as Jews have experienced greater and greater acceptance. But for others, the only lesson to draw from history is the unique and persistent victimhood of the Jews, including at the hands of groups that are far more marginalized today. Though their dismay at the brutal murder of dozens of Muslim worshippers may appear genuine, the Jewish right has yet to accept any responsibility for the pervasive Islamophobia they have spent their careers stoking. There is no reason to trust their sincerity now.